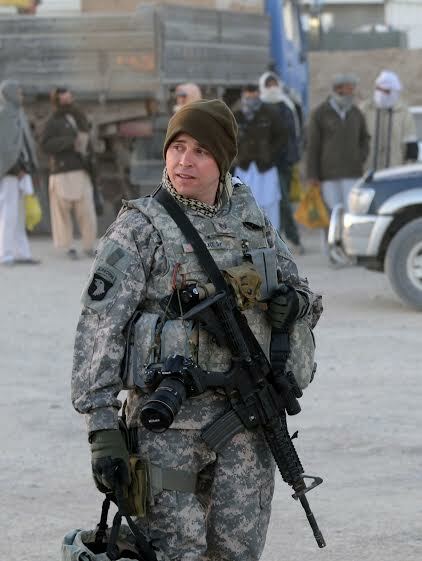 (Purple Heart Recipient) TSgt Mark Badger is a prior USAF EOD Team Leader. His last duty station was Peterson AFB in Colorado Springs, CO. 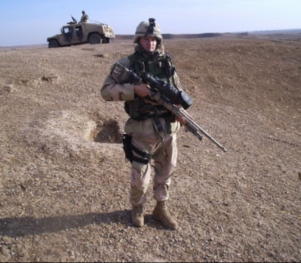 While deployed to Kandahar, Afghanistan 2010-2011 Mark was involved in 2 IED detonations within a 3 day period of time while conducting dismounted operations with an Army unit. Both were approximately 35-40 lbs of HME and they took heavy casualties including his team member and team leader. 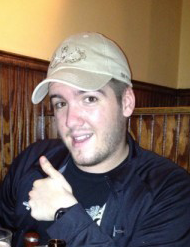 Mark sustained multiple moderate TBI’s and has permanent brain damage and a list of other injuries. He did everything he could to get back to his pre-deployment self for 2 years before a med board was started. 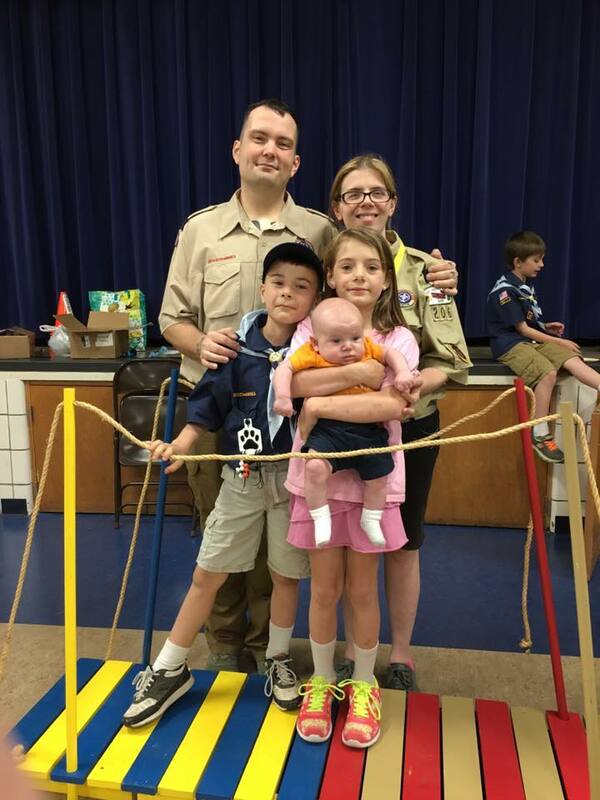 Mark was medically retired after 12 years in the Air Force on November 27, 2014. He loved his job as EOD and was going to stay in for the long haul, but had to change plans. (Purple Heart Recipient) SrA Josh Brooks is 30 years old, married with kids. He joined the Air Force out of high school and went into Security Forces. Josh volunteered for a 365 ILO mission with the Army. That took him to Baghdad in November of 2006. He was injured in an EFP attack 5/14/07, and they also lost a warrior that day. Over twenty surgeries and extensive therapy have gotten Josh to where he is today. He retired from active duty November of 2008, and now works for the government with the Social Security Administration. (Purple Heart Recipient) Richard Caseltine is from Aurora, IN. He was raised by his mother and grandparents. He Graduated from South Dearborn High School in Aurora, IN in 2004, and left for basic training right after graduating. He was stationed at Camp Lejeune with 3rd BN 8th Marines. He deployed to Karma, Iraq in 2005 and Ramadi, Iraq in 2006. He was shot by a sniper in kevlar on April 6th, 2005, while providing overwatch for an Iraq army patrol. He saw a person laying an IED, and then engaged the person. After turning around he was shot in kevlar by a sniper. The bullet went into front of kevlar and then traveled over his head and went down into base of neck stopping about an 1/8 inch from spine. He was medically retired in 2009. He loves to be outdoors and enjoys life. He has two daughters Kayleigh and Kylie and a son named Bryer. He is engaged to Bridget Hudson. 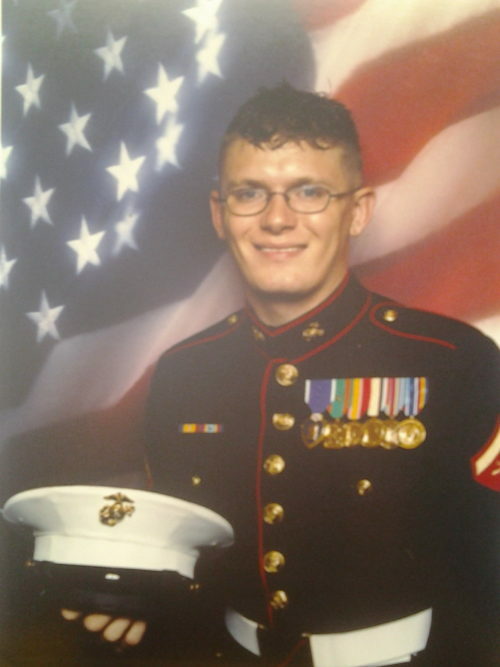 (Purple Heart Recipient) CPL Joseph Childress joined the military in 2007 and went to basic training in 2008. He was in field artillery attached to 10th mountain 3-6 fa. Joseph was deployed to Afghanistan in 2010 and suffered mTBI and other health related injuries and problems. He has suffered from Severe PTSD and chronic pain and headaches since 2010. 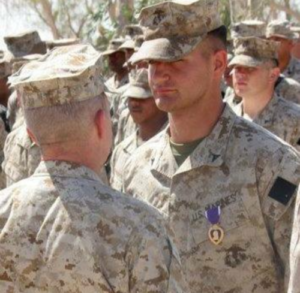 Joseph received the Purple Heart for injuries sustained in Afghanistan. 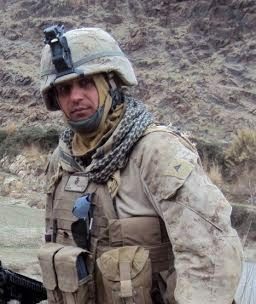 (Purple Heart Recipient) (SPC Ret) James R. Davis began his military career in the Marine Corps 1994 at MCRD Parris Island and served at MCRD San Diego as a Military Police Officer. Later, he went to college, met his wife, changed plans, and joined the IL National Guard. When Christy was ill, he left it all and joined his second active duty tour, this time in the Army with Alpha Battery 3-82nd Field Artillery, First Cavalry Division, 2nd Brigade Blackjack Combat Team in OEF Nov 2001 in Kuwait/Iraq. While preparing the ground for OIFin 2002, a British EOD team was clearing old Desert Storm Iraqi mines and forgot to check the area, the explosion almost knocked them out of the guard tower, but the exposure to Type G Nerve Agent (according to the chem alarm) is the cause of his seizures and other disabling neurological problems. James was medically discharged in 2004, and since has been given 100% Total and Permanent by the VA. He was almost permanently in a wheelchair this past July 2015, but thanks to the Coalition to Salute America’s Heroes and the Rocky Mtn. Hyperbaric Association, he is now able to walk with a cane and he has gotten his peripheral vision and balance and some cognitive skills back. After his medical discharge, James was blessed to serve as a GS-12 Security Specialist at HQDA ODCS G-2 at the Pentagon and later at NSWCDD Dahlgren for a total of 9 years before being medically retired from OPM. 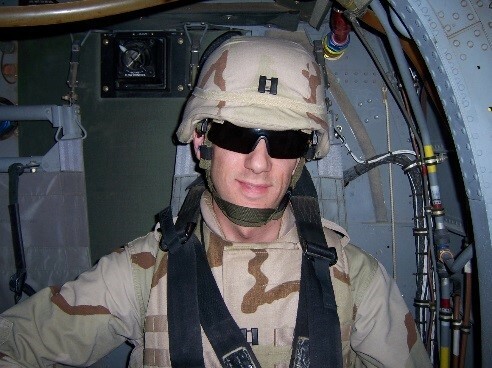 He now works from home and serves as the Assistant Field Representative for the Coalition to Salute America’s Heroes and he is also a Call Representative in their Heroes Thanking Heroes program. (Purple Heart Recipient) Daniel Erlandson was born November 16, 1983 in Everett Washington. He is married to Theresa Erlandson and they just celebrated their 5th wedding anniversary on January 7th. Daniel has three sisters, one is older and two are younger. He joined the United States Marine Corps April 21, 2008. Daniel says joining the Marine Corps was a lifelong dream, and becoming a Marine is still one of the proudest moments of his life. He served as a 0331 Machine Gunner and spent the majority of his career with 3rd Battalion 4th Marines (Darkside). He deployed with 3/4 three times to Afghanistan: 2009, 2011, and 2013. On his second deployment in 2011, he was deployed to Upper Gereshk Valley in northern Helmand Province. On May 31st, while operating as lead vehicle turret gunner, his truck hit an IED. Everyone was OK in the explosion, but he did suffer a mild TBI. Three days later, on June 3rd, while on a dismounted foot patrol, his squad was ambushed and came under fire. Eventually the enemy broke contact and they headed back to their patrol base. 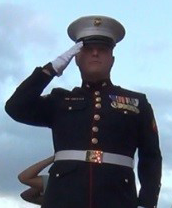 *Friend of Fallen Warrior Marine CPL Paul W. Zanowick II. 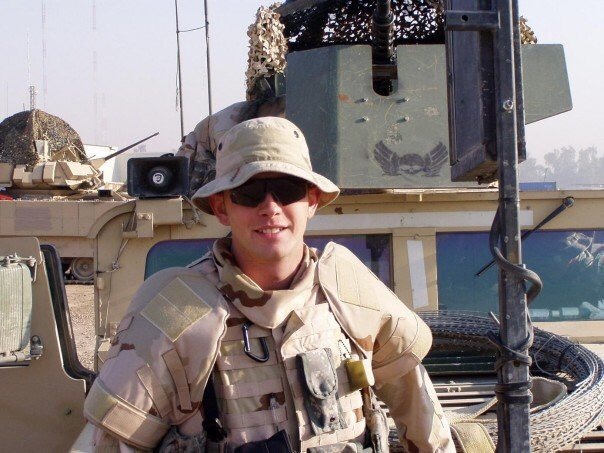 (Purple Heart Recipient) Halsey Hinson was born April 24, 1981 in Columbia, South Carolina. She joined active duty Army in January 2003 and completed her Basic and AIT in Fort Leonard Wood. She reported to her first duty station in May 2003 as a Military Police Officer and in November of 2004 received the highly revered award of becoming a mother. One year later, Halsey deployed to Baghdad, Iraq with 258 Mp Company, 519th Mp Battalion. 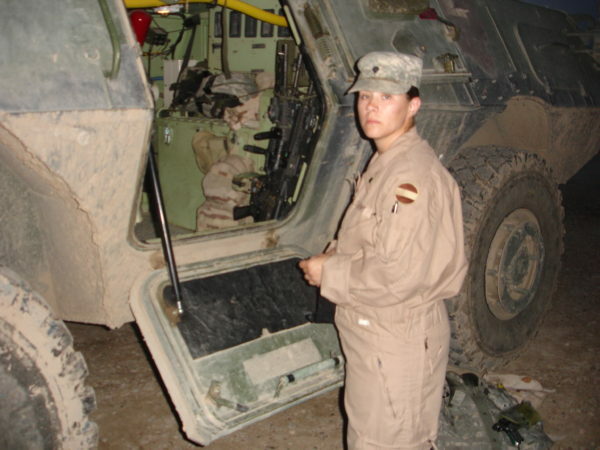 On August 9, 2006 her convoy was struck by IED totally disabling the vehicle. She received minor shrapnel to the wrist and burns to the face and wrist which led to a Purple Heart. All other team members in the vehicle also received minor injuries. She returned to duty the following day. She returned home in October of 2006. In January of 2008 she returned home to South Carolina and joined the National Guard for 18 months. 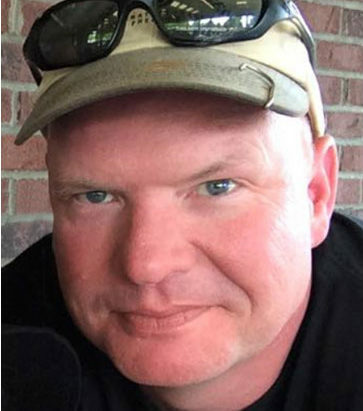 (Purple Heart Recipient) SMSgt Paul Horton was born October 20, 1972 in Conroe, Texas. He graduated high school from W. B. Ray HS in Corpus Christi and then attended Texas A&M from 1991-1993. He joined the military right before his 22nd birthday. After sustaining serious injuries when an IED exploded under his feet in 2010, Horton was stationed at Peterson AFB, CO for his final assignment. He led a flight of 15 as MSgt and then became the 21st EOD Program Manager as a SMSgt. He directly controlled the EOD assets and provided force protection to 5 military installations, the local community, and to the President of the United States. He was the 21st CES SNCO of the Year in 2012 as well as the 21st Space Wing’s SNCO of the Quarter. His valor was highlighted in the 2011 Chief of Staff’s Portraits in Courage. His proven leadership and dedication to duty was the cornerstone of the AF’s 2012 Recruiting Campaign, “Amazing Airmen.” His teams completed more than 1,500 combat missions, 65 Secret Service Missions, 18 emergency responses, and destroyed over 68,000 pounds of enemy explosives. Three of his Airmen and NCOs were injured in combat while heroically saving the lives of others. One of his Airmen paid the ultimate price. He capped his career off by competing on Team USA in the inaugural Invictus Games in London. He also relentlessly pursued improved care for Wounded Airmen, eventually resulting in the Air Force Surgeon General implementing his EOD Health Care Initiative Air Force-wide for all Battlefield Airmen. He earned multiple Bronze Star Medals, Purple Heart Medals, Army Commendation for Valor, and Navy Achievement Medals. Additionally, he was named one of 20 National Heroes by the President in 2009 for his actions on the battlefield. 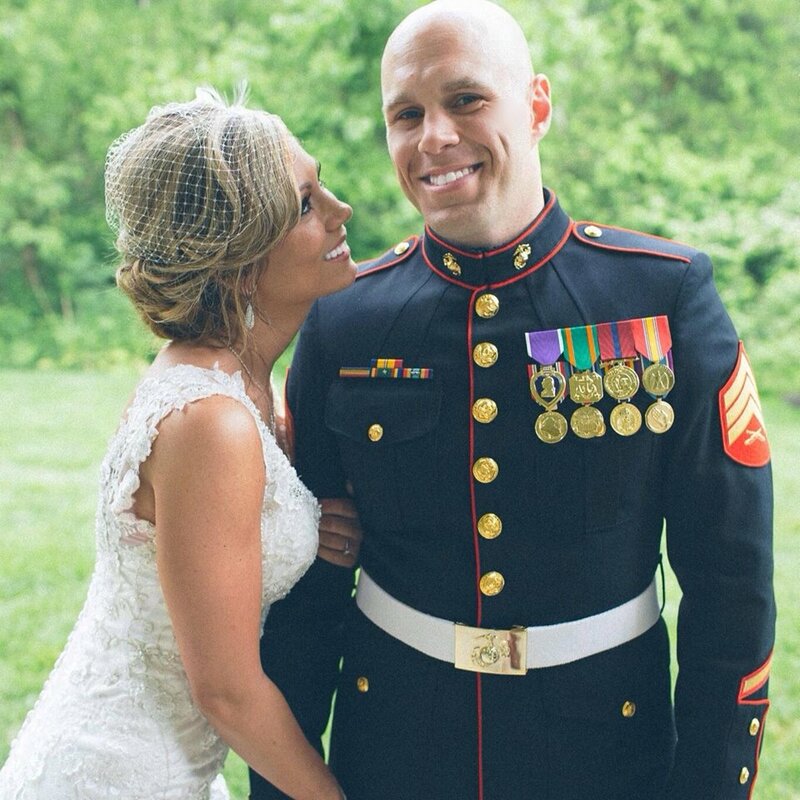 (Purple Heart Recipient) CPL Todd Love was born in Atlanta, GA and joined the Marine Corps immediately out of high school in 2008. He graduated the Basic Reconnaissance Course in 2009 and was assigned to 1st Recon Battalion. He was deployed to Helmand, Afghanistan in May of 2010. Five months into his deployment, on October 25th 2010, while on patrol in Sangin, Helmand Province, Todd stepped on an improvised explosive device (IED) and was transferred to Walter Reed Army Medical Center. He lost both legs to the hip and his left hand. 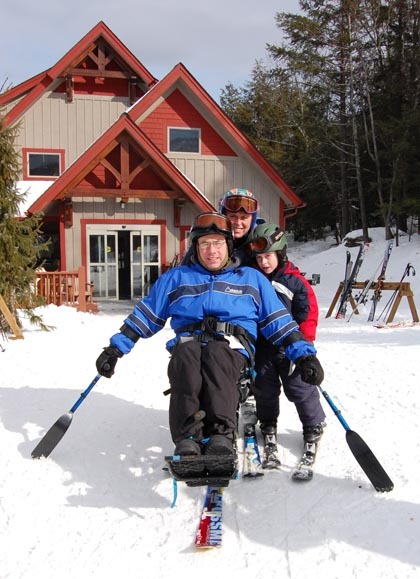 Todd enjoys participating in extreme sports and has not let his injury stop him. Todd can be found whitewater kayaking, skiing, skydiving, shooting guns, or competing in Spartan Races. 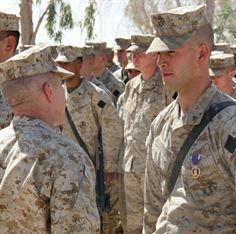 (Purple Heart Recipient) CPL John MacNaughton enlisted in the summer of 2003 a week after he turned 18. He spent a year in the delayed entry program and upon graduating high school in June he left for boot camp. John graduated on September 17th, 2004. After graduating from infantry training school he checked into 3rd Battalion 8th Marine Regiment on December 18th. He was deployed to Iraq less than a month later. John was deployed again, this time to Ramadi, Iraq in March of 2006. His last deployment was with the 22nd Marine Expeditionary Unit in July of 2007. He left active service after four years in June of 2008. On the night on March 20, 2005, at about 2030 hours, John’s squad led by SGT Deeds was conducting a routine vehicle check point on Kandari Market Road just outside of Abu Grahib prison in Iraq. They had set up a perimeter and he was posted on the machine gun mounted in the back of a High Back Humvee. John was scanning roof tops and windows with a night vision sight when suddenly there was a massive explosion behind him and to his right. He was knocked unconscious and thrown to the floor. After they loaded SGT Deeds into the back of the Humvee they rushed back into the prison, to the hospital. Once SGT Deeds had received attention he asked someone to look at his back and they confirmed that he had been hit and was bleeding. Inside the hospital, X-Rays confirmed John had shrapnel in his upper back and shoulders, but it was too deep to take out. Eleven years later one piece has come out and another is still in his right shoulder. 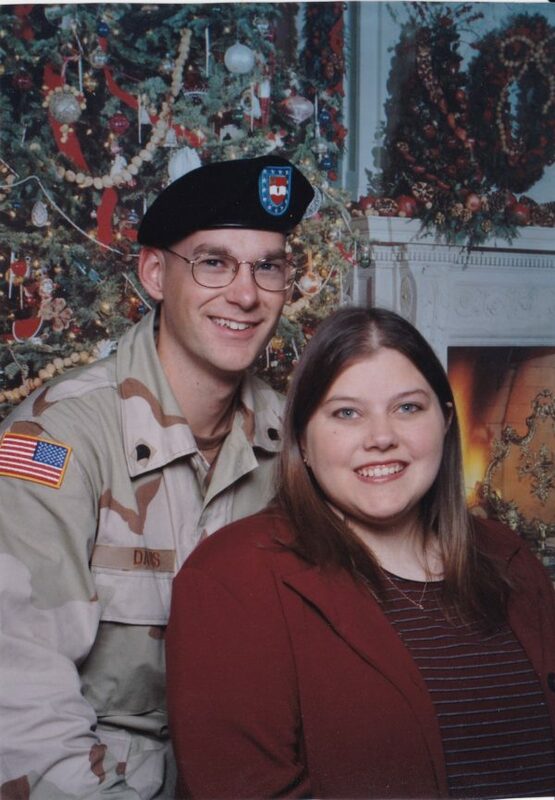 (Purple Heart Recipient) Adam McLeod served nearly 18 years in the US Air Force. His first 12 ½ years he served as a Security Police/Forces and a K-9 handler. He was honorably retired in 2010 as an E-7, Air Force Master Sergeant. He has deployed 10 times, two of which were combat deployments while in uniform. His final deployment was to Afghanistan as an advisor to Regional Command West (RC-W) forces on improvised explosive devices (IEDs). Adam was assigned to Camp Bastion/Leatherneck supporting US Marine Corps tactical units as well as other units assigned to and/or transient through the base. His awards include the Bronze Star, Meritorious Service, Purple Heart and Air Force Commendation medals. Adam has been married to his wife Jennifer for 20 years. She is also former Air Force, trained as a medic. She spent over seven years in the service until they decided she should get out to raise their children. She was honorably separated as an E-5, Air Force Staff Sergeant. They have four boys ages 18, 16, 14 and 12. 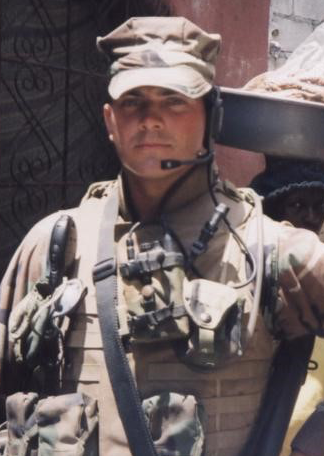 In 2007, Adam selected a voluntary deployment to Camp Fallujah, Fallujah, Iraq as an analyst assigned to a US Marine Corps explosive ordnance disposal (EOD) detachment. He was tasked to conduct tactical exploitation and forensic analysis of IEDs. He used his analysis to identify IED cells in the area, suggest countermeasures to tactical units and provide information to direct action units. It was during this deployment where an already aggravated back condition deteriorated into his second back surgery in 2008. He lost a significant amount of hearing, no doubt due to IED blasts. Following the deployment, he was diagnosed with traumatic brain injury as well as post-traumatic stress disorder and ultimately medically boarded out of the Air Force three days prior to his 18th year military anniversary. Since his retirement, he has continued to serve US Forces in a variety of positions, most recently as a sub-contractor assigned to an intelligence unit supporting operations globally. (Purple Heart Recipient) CPL Ryan Meadows enlisted April 12, 2004. Following recruit training and School of Infantry, he was sent to 3rd Battalion 8th Marines Kilo Co. In January of 2005 he was sent to Fallujah, Iraq and spent the next 7 months in combat operations. July 17th, 2005 he sustained a traumatic brain injury from an improved explosive device. 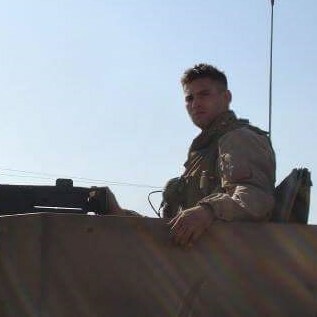 Following Fallujah, Ryan deployed to Ramadi, Iraq in 2006. They operated in Ramadi from March 2006 to September 2006. Ramadi at the time was the most hostile area in Iraq and they stayed in sustained combat daily. Following Ramadi, he deployed with 22nd Marine Expeditionary Unit (MEU). He did training operations in Kuwait, Djibouti, Africa, and anti-piracy ops off the coast of Somalia. In April 2008 Ryan was honorably discharged from the Marines. He was awarded (in his seven year career) over two dozen medals and ribbons including the Combat Action Medal, the Commendation Medal with Valor, the Purple Heart, and Oklahoma’s ‘Outstanding Soldier of the Year’ in 2006. *Friend of Fallen Warrior Marine LCP Taylor Prazynski. (Purple Heart Recipient) Sgt Steve Thompson served with John Prazynski’s son, LCP Taylor Prazynski in 3rd Battalion 8th Marine Regiment, an infantry battalion out of the 2nd Marine Division in Camp Lejuene, NC. He was a Sgt Squad Leader with 3 deployments to Fallujah, Iraq, Ramadi, Iraq and the 22nd Marine Expeditionary Unit. 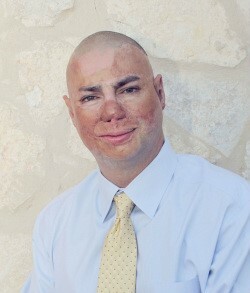 (Purple Heart Recipient) Stephen Valyou is a Retired US Army SSG, EOD team leader, serving in Afghanistan and Iraq. He conducted and mitigated over 100 IED threats. He was shot and paralyzed by a sniper March 2007 in Diyala Province, Iraq. Stephen is a single father of two great children. His son is 11 and his daughter is 3. He is a mono skier in the winter, hand-cyclist in the MCM, PADI Certified Scuba diver, and is currently seeking to achieve his AAF license. 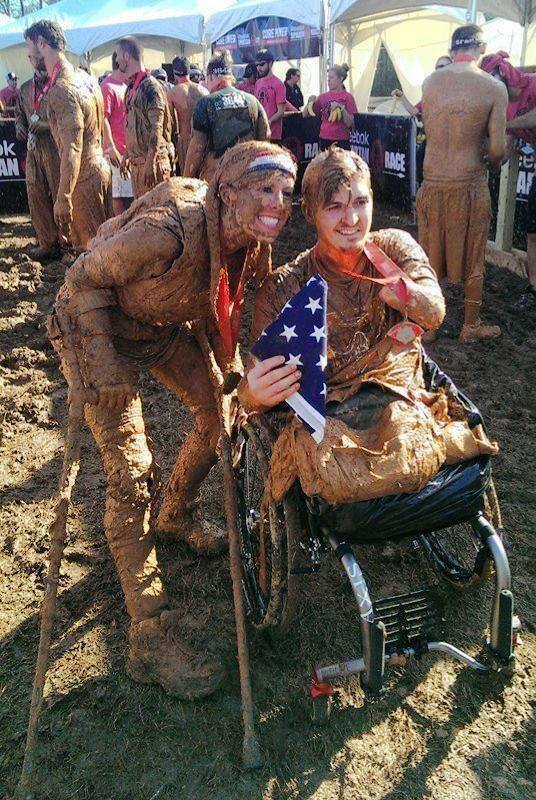 He uses his disability as motivation to try and accomplish new things to do. 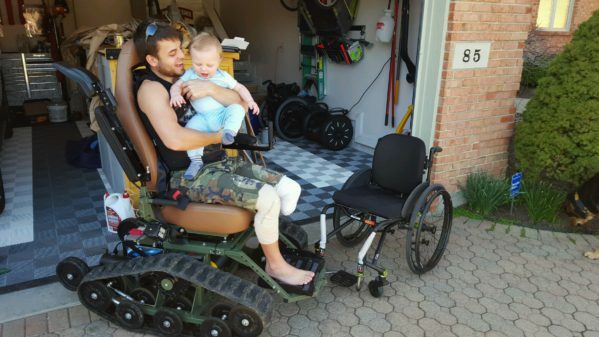 He also uses his experience as reference and motivation to help other veterans to attempt to try new things themselves. Stephen believes that PTSD and TBI can be treated through recreational activities and if by showing others it can be done and helping at least one other veteran he feels it be a success. (Purple Heart Recipient) SMSgt Kevin Wallace is the chief of Public Affairs at the 89th Airlift Wing, Joint Base Andrews, Maryland. SMSgt Wallace is responsible for providing guidance and counsel to the 89th AW commander, Presidential Airlift Group commander, subordinate commanders and wing staff. He coordinates and communicates all media responses to the president, vice president, cabinet members, combatant commanders, and other senior military and elected leaders as tasked by the White House, Air Force chief of staff and Air Mobility Command. Additionally, he develops and synchronizes communication tactics to gain informed public support of 89th mission, operations and roles. SMSgt Wallace entered the Air Force in September 1997 and his background includes various duties in EC-135, E-3, F-15, F-16, C-130, C-141, KC-10 and F-18 aircraft maintenance. He retrained into PA in January 2007, and has led hundreds of enlisted PAs during four assignments and multiple deployments. 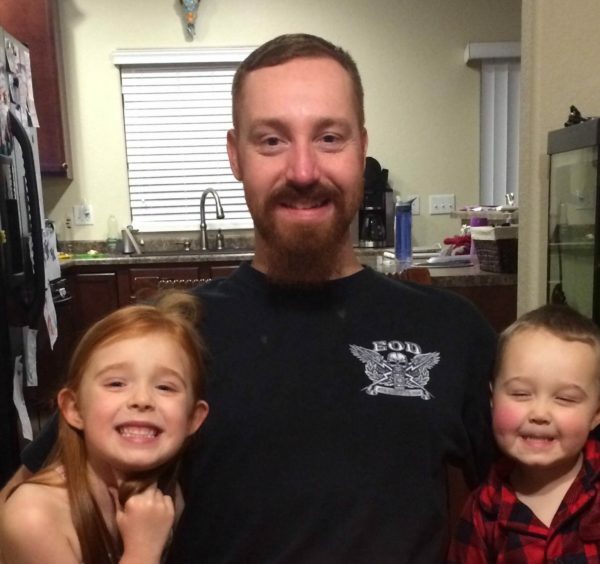 He served an extended overseas tour in Okinawa, an overseas tour in the U.K., and multiple deployments, including two combat tours in Afghanistan. SMSgt Wallace is a warfighter, and was recognized by the Air Force Chief of Staff in his 2012 Portraits in Courage. He also garnered the U.S. Air Forces Europe Jewish Institute for National Security Affairs award, the Idaho Red Cross Hero of the Year award, the Daryl G. Winters Combat Camera award, and his combat images garnered top honors by the Department of Defense, FOX News and Maxim Magazine. After one brutal combat engagement in Afghanistan, his Platoon Leader recalled “Wallace immediately returned fire, augmenting between camera and rifle, firing 119 rounds and 190 photos.” After SMSgt Wallace and four others were hit with a rocket-propelled grenade, the Platoon Leader recalled, “Wallace continued to fire his weapon and to call out enemy positions even after being thrown against a wall, knocked unconscious and receiving burns to his neck. When I called for status south of our fighting position, disregarding his own life and personal safety, Wallace willingly exposed himself to hails of heavy PKM (heavy machine gun) fire three times to verify no insurgents were flanking the south, allowing elements to maneuver south to the CasEvac site without a single soldier being killed. Some of SMSgt Wallace’s major awards and decorations include the Purple Heart, multiple Meritorious Service Medals, Joint Commendation Medal, Air Force Commendation Medal, Army Commendation Medal, Air Force Combat Action Medal, Army Combat Action Badge, Army Valorous Unit Award, and multiple Air Force Recognition Ribbons. He has also won dozens of Air Force and Major Command level awards and was recognized by the U.S. Ambassador to the United Kingdom with the Exceptional Community Relations award for his work with Prince Harry for American and British Wounded Warriors in the UK. He remains active in community service, and mentors and participates in many Air Force Wounded Warrior Program events, as well as Wounded Warrior Project, Boy Scouts of America, and Lutheran Church events in Northern Virginia. 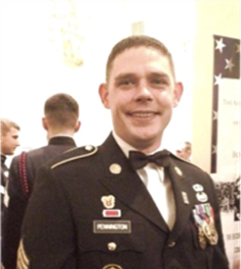 (Purple Heart Recipient) Ken joined the Army in 2009 and after Basic Training and began his training as an Explosive Ordnance Disposal (EOD) Technician. After that training was complete he was stationed at FT. Bragg, NC until he deployed to Afghanistan Jan 2012 in support of 3rd Group Special Forces mission. On August 15, 2012 he was injured while his team was neutralizing an IED in a local village. 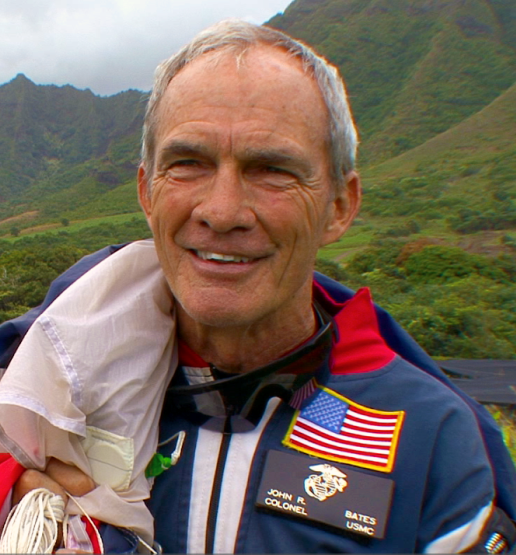 Doyle spent the next two years stationed at Walter Reed hospital undergoing recovery and awaiting medical retirement. He is currently retired and living with his wife and son in Marion, NC where he is trying to open his own business in the community. (Purple Heart Recipient) Shilo Harris understands the difficult challenges facing all soldiers returning from Iraq and Afghanistan, as well as how to overcome adversity. During his second combat tour in Iraq, his armored vehicle encountered an improvised explosive device (IED). The explosion on February 19, 2007 killed three of his fellow soldiers and wounded the driver. Burned over one-third of his body, Shilo spent 48 days in a coma followed by nearly three years of recovery at Brooke Army Medical Center in San Antonio, Texas. Shilo credits his recovery to the courage and commitment of his wife and family, and the dedication and expertise of the military medical community. Shilo’s mission today is to deliver a call to action on behalf of wounded warriors, their families, caregivers, and the surrounding communities. By offering hope, encouragement, and practical strategies for dealing with adversity, Shilo currently speaks to groups around the country about his experiences. Owner of WIN Home Inspection Services and national spokesperson for Helping A Hero, Shilo is a fierce advocate for today’s veterans. Shilo and his family were awarded a new home during ABC’s Extreme Makeover: Home Edition December 2012. His book, Steel Will, is available through Baker Publishing Group. 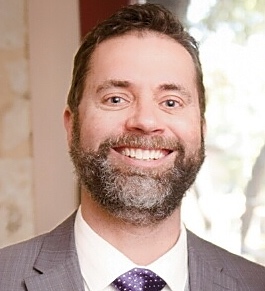 Currently Matthew is a part-time National Spokesman/Field Associate for the Coalition to Salute America’s Heroes, it is a job he believes in and also one that allows him to witness and hear about the positive impact made in the lives of the combat wounded. Matthew has been married to his wife Marjorie Pennington for 12 years and looks forward to a life full of giving to and assisting those in need.